CIT, Ghaziabad VS. Mathura Commercial Co.
1. We have heard Sri Dhananjay Awasthi, learned counsel appearing for the appellant and Sri Ashish Bansal, learned counsel appearing for the assessee. 2. 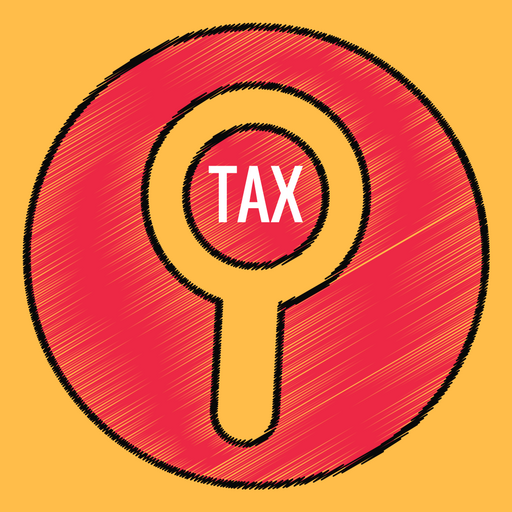 This appeal under Section 260-A of the Income Tax Appeal, 1961 has been filed by the Department against the judgment and order dated 12.09.2002 of the Income Tax Appellate Tribunal. “1. Whether on the facts and in the circumstances of the case, the Hon’ble Tribunal is legally justified in holding the A.O., should prove mens rea of the assessee that it concealed the income to evade tax. 4. A return was filed by the assessee in the year 1991-92 on 31.10.1991. In the return, the assessee had shown various outstanding amount against different parties. The Assessing Officer issued notices to the assessee to explain and assessee was granted opportunity by the Assessing Officer with regard to different entries showing outstanding amount. The Assessing Officer doubted the genuineness of the liabilities. The assessee took time for bringing confirmation of the entries. There were 20 such entries showing outstanding amount. The assessee could produce confirmation with regard to only 15 such parties and with regard to 5 such entries, the assessee was given a notice as to why the said outstanding amount be not deleted or added in the income of the assessee. The assessee filed a revised return surrendering the aforesaid outstanding amount regarding 5 entries. Five persons, namely, Gulshan Bardana wala, Akil Ahmad Boriwala, Satish Chand Gupta & Co., Yakub Bardana wala and Mohd. Hussain Bardana wala. The assessment was made. Notice for imposing penalty under Section 271 (1)(c) was issued and the Assistant Commissioner, Income Tax vide his order dated 29.09.1993 imposed penalty of Rs. 2,10,000/-. The Assistant Commissioner, Income Tax held that the assessee deliberately concealed the income and furnished incorrect particulars. For imposing the penalty an appeal was filed by the assessee. The Commissioner, Income Tax vide his order dated 01.08.1994 allowed the appeal and cancelled the penalty. The Department went in appeal before the Income Tax Appellate Tribunal and the same has been dismissed on 12.09.2004. 6. Sri Ashish Bansal, learned counsel appearing for the assessee refuting the submission has contended that while submitting the return, the assessee himself has deleted the aforesaid outstanding entries and since on account of riots as noticed by the Commissioner of Income Tax (Appeals)-II, the assessees were not traceable. He submitted the fact that out of 20 entries shown by the assessee as the outstanding liabilities 15 confirmation could be obtained and it was only 5 traders out of which four belonging to one particular community of Muslim, the confirmation could not be obtained. The present was not a case of disclosure of any inaccurate particulars or making any false statement. He submitted that the explanation given by the assessee for deleting the said entries in revised return was based upon correct facts which has rightly been believed by the Commissioner of Income Tax (Appeals)-II as well as the Tribunal. He submitted that no question of law raised in the appeal and the appeal deserves to be dismissed. “2.5 The CIT(A) cancelled the penalty levied u/s. 271(1)(c) for the reason that the AO failed to make proper enquiries into the genuineness of the appellant’s claim with the persons in whose names the liabilities were shown to be outstanding. According to CIT(A), the AO has impounded the vouchers related to purchase of Bardana as far back as in Oct. 92 but no inquiry was made in regarding to cuttings, erasers etc. The AO found that most of suppliers of Bardana were genuine as no addition was made as he issued notice about 20 persons. While addition was made only in regard to 5 persons. According to CIT (A), the books of accounts for subsequent year, could be summoned to ascertain the correct position regarding payment made in subsequent year by the assessee. Further the AO could have also rejected the offer of assessee for surrendering. The assessment was not got barred by limitation as the same could be completed upto 31.03.1994. Further, the imposition of penalty by invoking the provisions of Sec. 271(1) (c) as it stood prior to 1.4.76, is also not justified. According to CIT(A), if it is presumed that the AO intended to invoking the existing explanation, he should have expressed intention of doing so and should give opportunity to the assessee to offer his comments. Penalty proceedings being quasi-criminal in nature, the appellant must have been provided with opportunity to rebut the presumption raised against him. The AO levied penalty on the basis of assessment completed where also he has failed to give clear findings as to the nature of concealment. The CIT(A) also mentioned in her order that there is no mention in the order that the penalty on account of concealment of income or furnishing inaccurate particulars will be initiated against the assessee. It is only towards the close of the assessment order that he has simply mentioned in routine manner “penalty proceedings u/s. 140-A and 271(1) (c) have been initiated separately”. 8. There cannot be any dispute to the preposition that the penalty is leviable under Section 271(1) (c) when any person has concealed the particulars of his income or furnished inaccurate particulars of such income. The present is not a case of concealment of particulars of any income of the assessee. At best, the case could have proceeded on the ground that assessee “furnished inaccurate particulars of such income”. From the order passed by the Commissioner of Income Tax (Appeals)-II as well as the Tribunal, it is clear that the assessee has shown in his initial return filed on 31.10.1991, twenty entries showing outstanding as on 31.03.1991 against the different parties. The assessee was asked to bring confirmation of the aforesaid outstanding amount. The Assessing Officer doubted the genuineness of the transaction. The Assessing Officer in fact issued notice to 20 such parties against whom outstanding were shown. The assessee could bring confirmation with regard to 15 transaction but with regard to 5 whose parties became untraceable, the revised return was filed deleting the said entries. The assessee has come with the explanation for filing a revised return by deleting outstanding entries regarding aforesaid five traders. The reason was noticed by the Tribunal that the dealers being belonging to particular community had left the Town during riots due to Ram Janma Bhumi and Babari Masjid dispute or otherwise refused to give confirmation letter. The mere fact that the assessee could not obtain confirmation letter of the said outstanding entries from only five traders out of 15 in no manner can be said that in his return filed on 31.10.1991, he mentioned inaccurate particulars. In the revised return those entries were deleted by the assessee on account of he having not been able to filed requisite confirmation letters or proof. In the said circumstances, it cannot be said that he filed any inaccurate particulars on which penalty could have been imposed under Section 271 (1) (c). The judgment relied by learned counsel for the appellant in Bajrang Glass Emporium (supra) where it was held that in case of surrender of income by assessee without offering plausible explanation whether he can be absolve from the charge of penalty for concealment of income. The Division Bench has held that such assessee cannot be absolve from the charge of penalty for concealment. The ratio is that the assessee cannot be absolved from charge of penalty. He does not offer any plausible explanation in the present, the explanation offered by the assessee was plausible and is rightly been accepted by the Commissioner of Income Tax (Appeals)-II as well as the Tribunal. Thus the judgment in Bajrang Glass Emporium (supra) does not help the appellant in the present case. The other judgment of this Court relied by the appellant in the case of Standard Hind Co. (supra) was case where the Court found that the revised return was a specific concealment for a particular month was detected by the Assessing Officer. The Court held that it was a clear case of concealment of income and furnishing of wrong particulars, hence penalty was rightly imposed. There cannot be dispute in the proposition as laid down in the said judgment. The judgment of Delhi High Court in the case of Mak Data Ltd. (supra) was a case where Assessing Officer required the assessee to produce evidence as to the nature and source of the amount received as share capital, the creditworthiness of the applicants and the genuineness of transactions, the assessee simply surrendered certain amount. The Assessing Officer made addition of said amount and also levied penalty under Section 271 (1) (c) specially on the ground that in absence of any explanation in respect of surrender of income first part of clause (A) under Section 271 (1)(C) was attracted. Therefore, the levy of penalty was justified. The said case is on own footing also does not help the appellant. In view of above, we have carefully gone through the orders of Commissioner of Income Tax (Appeals)-II as well as the Tribunal where absence of notice have been recorded simply holding that an explanation given by the assessee for submitting the revised return was acceptable. The present case is not a case of mentioning of inaccurate particulars or concealment. We do not find any substantial question of law in the appeal. The appeal is dismissed. This entry was posted in Sec. 271(1)(c ), Section 143 and tagged 361 ITR, Allahabad High Court, burden of proof in case of penalty, In favour of Assessee, penalty u/s 271(1)(c).